Here at the Miles Franklin Blog, we like to think of ourselves as your “lifeline to reality” – times three. And not just because we publish each day, but due to the broad swath of knowledge and experience we bring to the table. 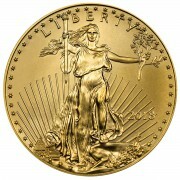 From David Schectman, you receive some of the best big picture commentary available – with a particular focus on “what people are saying” versus “what history tells us” and “what is most likely.” From me, you receive in-depth analysis of economics; financial markets; and of course, gold and silver – from someone who not only spent a “lifetime” on Wall Street, but five years in the mining industry and four years in the bullion business. And last but not least, Andy Schectman has not only been buying, selling, and trading Precious Metals since the turn of the century, but is one of the finest communicators in the entire, largely opaque Precious Metals industry. With few exceptions, when I awake each morning I have not a clue what the focus of my article will be. In fact, I often compile the day’s news, as well as my thoughts and observations (often inspired whilst at the gym, where I pen them on my trusty notepad); and even a rough title of my article, before even considering what to say. That said, with the combined knowledge and insight of David, Andy, and countless other blog contributors, it doesn’t take long before the “right” thing to say emerges. Today, as it turns out, is one of those days where I was well aware of my primary topic before I awoke – care of another late night discussion with Andy Schectman, following a day so ugly regarding market performance, sentiment, and connotation, many are casually referring to it as “Black Monday.” By the time all is said and done, “Black 2015” and “Black Decade” will likely be more appropriate; and perhaps, if “TPTB” continue to lose control so rapidly, “Black August.” Remember, Miles Franklin was in the heart of the 2008 storm; as not only did paper prices initially plunge (care of the Cartel, of course); but immediately thereafter, physical supply – particularly of silver – completely ran out, as fearful global investors acquired metal so aggressively, every major Mint in the world sold out. Delivery times rose from mere weeks to multiple months, and physical premiums exploded – in gold, to around 30%, and silver nearly 100%. To that end, many a time I have listened to Andy speak at investor conferences of the fear he experienced as a business owner back then – lying in bed each night and asking his wife “what am I going to do?”, as he simply could not source any product to sell. Let alone, the “universal fear” he – and all of us – felt in wondering if collapsing financial markets and economies would every rebound. And if not, what chilling events might stem from such chaos – politically, socially, and in terms of our own families and vocations. Speaking with hundreds of investors and potential investors during that terrifying time – as well as during the gradually intensifying crises of the ensuing seven years – no one is more attuned to the public’s awareness, fears, and beliefs about the economy, financial markets, and Precious Metals than Andy. That is, in the U.S. and Canada, where the vast majority of our clients live. Thus, what he told me last night was as chilling, and ominous, as anything I could imagine. Which is, that never before has he felt such “universal fear” from the myriad people he speaks to – from all walks of life. In other words, be it blue collar workers, financial experts, or ultra-wealthy entrepreneurs, everyone these days appears to be scared of what’s coming. Many can’t voice exactly what’s wrong with the economy – or why they fear it has far lower to fall; whilst some, like myself, know exactly what’s wrong, and exactly why it must collapse before any hope of a rebound is possible. However, the binding tie amongst all is their belief that something is wrong; politically, economically, and especially regarding the potential for a horrifying market crash, encompassing stocks, real estate, and even the dollar themselves. Throw in the cumulative stress long-time “goldbugs” have accumulated in watching said “powers that be” maniacally attack what was supposed to be a “foolproof” insurance policy (against exactly what has indeed occurred), and one realizes just how much angst the population, as a whole, is dealing with. And oh yeah, the fact that given the horrifying wealth destruction of the 2000 and 2008 crashes; and the relentless loss of jobs; the decline of real wages; and the increasingly draconian, dangerously populist nature of bankrupt governments the world round, people are as scared of the potential political and social futures as they are of the economic. I mean, geez, can you imagine that Donald Trump is considered by many the best choice to run America? 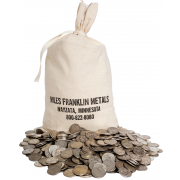 Since that time, junk silver – or as I call it, the “ultimate fear asset” – has essentially gone “no offer.” In other words, no one is selling – yielding premiums at all-time high levels, and absolutely no certainty as to when, or if, more will be available. Yesterday, Steve Quayle, who also works in the bullion business, was told by his major suppliers that their best estimate for junk silver availability was 8-12 weeks. Which made me laugh, as such an estimate is nothing more than a “guess” – or better put, a “hope” – as no junk silver has been produced for 50 years; no more ever will be; and given today’s perilous global financial situation, it’s difficult to consider why anyone would sell. Let alone, given how onerous the process of selling giant, heavy bags of coinage can be. Sort of like “analysts” from Barclays bank – you know, the one charged with manipulating everything from LIBOR to gold – changing their expectation of a Fed “rate hike” this morning, from September 2015 to March 2016. As if they have any clue what the world will look like in 2016. Not to mention, given what is going on now in the equity, currency, and commodity markets, why would anyone – “agenda” notwithstanding – believe things will be “better” six months from now? Back to the good that is Andy Schectman – as opposed to the evil that is Barclays – he is as fearful of a 2008-style silver shortage as at any time since those fateful months seven years ago. 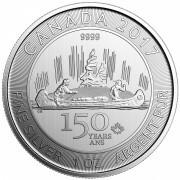 To wit, premiums have started to significantly rise on the most popular coins, with delivery times on Silver Eagles now exceeding four weeks, and Silver Maple Leafs 6-8 weeks. 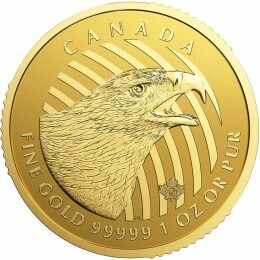 In fact, our principal distributor, for all intents and purposes, suspended all new sales of Silver Maples Leafs of all kinds – including Great Horned Owls, which I referred to 12 days ago, in “one of the potentially last great silver investment opportunities.” Not that you can’t get them if you order now. However, delivery times, as noted above, are getting extremely stretched; whilst physical premiums, despite remaining reasonable, are starting to rise. If this goes on much longer, I’m hard pressed to believe the U.S. Mint won’t be forced to again suspend Silver Eagle sales entirely. Which, given the surging delivery delays, they are “partially” doing already – in “allocating” new orders rather than taking them in the full sizes bid for. That said, I’m now in an even bigger “writer’s predicament” – as I’ve already written more than two of my allotted three pages per day, and haven’t even gotten to yesterday’s historic “Black Monday” trading, or this morning’s follow up market action and commentary. Frankly, it’s days like this when I typically use the Audioblog format to cram all this information in. However, as I just did one this weekend; and taped a very thorough, MUST HEAR podcast with SGT report yesterday morning, I’m going to try and summarize in less than a page of writing. Moreover, some people don’t feel like listening to 20-30 minutes of podcasts so often – as opposed to plain old, fingers on keyboard writing. In a nutshell, yesterday was by far the ugliest, most chaotic trading day since early 2009. Or better put, Friday plus Monday – as Friday’s action was nearly as bad. And today should have started just as ugly, if not for the all-out “Hail Mary” efforts of every imaginable “manipulation operative” imaginable – utilizing a combination of overt monetary easing, covert market rigging, and flat out financial crime (you have to read this to believe it) to reinforce investors’ brainwashed belief in “buying the dips”; care of the “Yellen Put”; the ECB’s “whatever it takes” mantra; the BOJ’s determination to devalue the Yen at all costs; and of course, the big Kahuna of them all, the PBOC – which, what a shock, reduced interest rates this morning, following an additional 7.6% Shanghai stock exchange plunge last night. Consequently, the died in the wool “dead count bouncers” are out in full force; although, as put perfectly by David Stockman, the days of “buy the dips” success are likely over – in lieu of “sell the rips.” I mean, geez! Yesterday, at one point, EVERY global stock market was down 4%-5%; the CRB Commodity Index was at its lowest point since 9/11, with oil briefly falling below $38/bbl; and currencies the world round were in all-out freefall. And yet, the PPT actually tried to push the “Dow Jones Propaganda Average” into positive territory, after having opened nearly 1,100 points lower! Which they decidedly failed to do, yielding yet another horrifying market close. This morning, amidst yet more dour economic news – as if past data matters a whit, now that collapsing stocks, currencies, and commodities ensure economic hell for the foreseeable future – the Fed is staunchly defending the key round number of 2.0% on the benchmark 10-year Treasury yield; in a kind of “reverse QE” aimed at preventing the all-out panic plunging interest rates tend to portend, and preventing it from being “forced” to announce QE4. That is, the inevitable “Yellen Reversal” that will likely end, once and for all, the ridiculous, propagandized belief that Central banks have a clue what they’re doing. And of course, brutally attacking paper Precious Metals with the same exact algorithms as always – despite not a single fundamental reason why they would be lower. Which, consequently, will only increase the level of already sky-high physical demand – making it more and more likely the Cartel’s “Jimmy Shaker Day” (for those that have seen Mel Gibson’s Ransom) will arrive sooner rather than later. Not to mention, the all-out collapse of mine supply we have long warned of – particularly in silver, as imploding base metal prices make it highly likely that the largest source of silver supply will be dramatically curtailed in the very near-term. As for mining stocks – which I have vehemently warned of for the past four years – they not only were down significantly yesterday – with gold barely down – but were the market’s worst performing sector, with the HUI down more than 8% (and another 4% this morning). Of course, with all the hype about stocks, the more ominous aspect of yesterday’s (and Friday’s) trading was the horrifying volatility that hit the ridiculously illiquid markets like a speeding freight train. With so few market participants left – following two of the worst crashes in decades and the virtual commandeering of “markets” by the government – algorithms swamped said “manipulation operatives” with alarming ease, exposing said “markets’” weakness to the entire world. As for specific markets, it’s comical that so much hype gets put into any U.S. stock decline of more than the PPT’s implicit “limit down” of 2.0%. To wit, the Dow’s losses paled in comparison to the horrifying plunges in the equities and currencies of dozens of global “emerging markets”; as well as, of course, the imploding commodity markets. Cumulatively, these losses have already destroyed entire nations – which is exactly why, in the coming weeks and months, we will likely see historic political, economic, and social upheaval in nations as diverse as Brazil, Turkey, Greece, Saudi Arabia, and China – to name but a few. Six months ago, I wrote of how the vast majority of the world’s equity, currency, and commodity markets were declining despite TPTB’s best efforts – claiming only “last to go” markets like the Dow Jones Propaganda Average and paper gold and silver were still under their “control.” Clearly, this week’s horrifying global market action demonstrates just how close we are from such “last to go” markets being lost as well. Not to mention, the explosive demand for physical silver despite the Cartel’s best efforts to suppress it via fraudulent paper naked shorting. In other worlds, nearly all markets are starting to reflect the reality that said “powers that be” have so desperately worked to hide since going “all in” with 24/7 market manipulation in mid-2011. And more importantly, the reality of collapsing global economies; commodities; fiat currency purchasing power; and Central bank credibility. Which is probably why Andy Schectman, David Schectman, and I – given the feedback we receive daily – sense an “unprecedented, universal fear” amongst those we communicate with. To that end, how do you feel about the future? The future looks bleak !!! After yesterday if any one can not see the manipulation, then there is no hope for them, as the curtain has be pulled completely open on the crime in process (aka Ponzi scheme). I hope enough people live through what is coming to be able to write the history books for future generations! Listening to your SGT podcast right now. Thank you for your clear analysis and your heartfelt plea to everyone to wake up and protect themselves. see the light & buy a bunch of Silver, s they are mostly saved. I should be OK, as I’m stocked up on almost everything. everyone is screwed. And they ain’t gonna like it. will be in a troubled jackpot. i suspect that the upcoming turmoil is bigger than just an economic event. I think that it is going to morph into something more apocalyptic in nature given that there will be massive civil unrest and then wars. Hopefully im wrong. Did you mean “dead cat bouncers”?